To arouse your kids' interest of exercise, and surprise them with great fun and with safety in mind, this trampoline net will be a good choice. 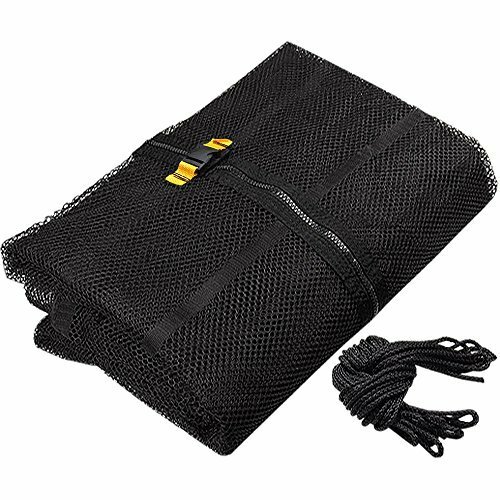 This is a premium, enclosure netting to be attached onto the front of 15' round trampoline pad. It is able to totally enclose the kids, teens or adults and provides protection against bouncing out of the mat and in contact with the frames. Important: Please measure the outer diameter of your trampoline frame from across the middle for the best match prior to purchasing. Lightweight design & durable with mesh netting in 160" Diam. by 71" Ht. Light in weight and easy to take to wherever you want.